B.Pharm is a shortened form of Bachelor of Pharmacy.It enables a candidate to practice a professional career as a Pharmacist.The course will cover a syllabus including health care and biochemical science. The program covers practical experiments along with theory classes.Pharmacy is the art and science of preparing and dispensing drugs and medicines. The duration of B.Pharm. is four years whose curriculum is covered in a number of 6-8 Semesters, varying from institute to institute. Students are expected to perform a number of experiments along with theory classes. 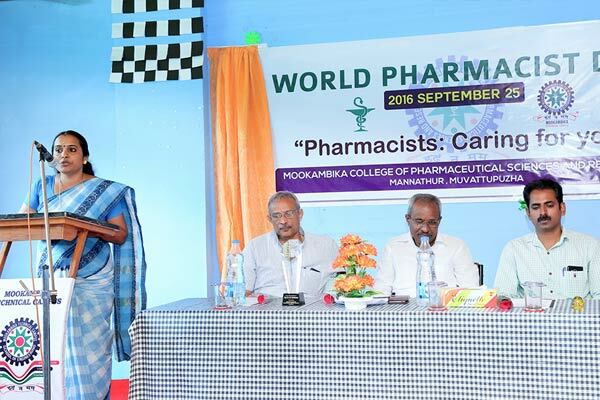 Pharmacy education and profession in India up to graduate level is regulated by the Pharmacy Council of India (PCI), a statutory body governed by the provisions of the Pharmacy Act, 1948 passed by the Indian Parliament. Bachelor Degree in Pharmacy enables one to practice the profession of a Pharmacist.